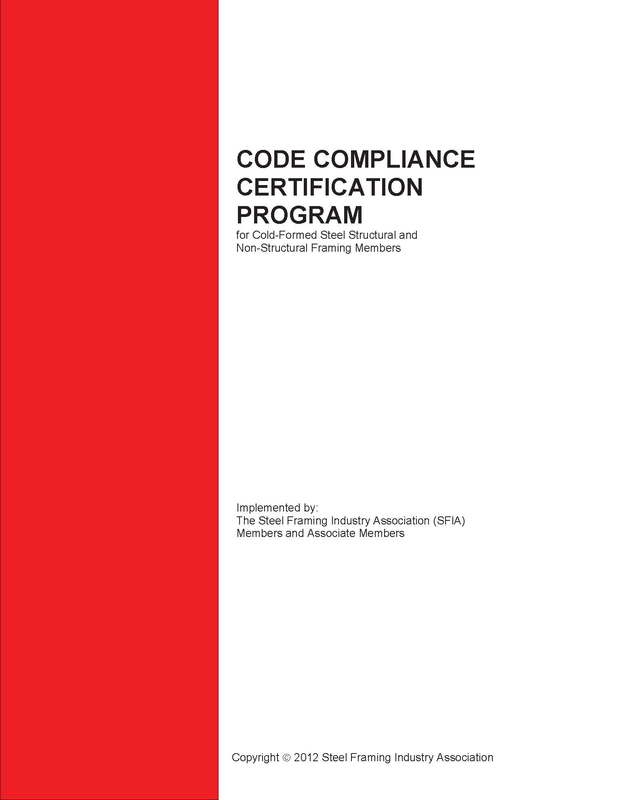 The SFIA Code Compliance Certification Program for Structural and Nonstructural Framing Members, gives builders and suppliers the assurance that the cold-formed steel products they purchase from SFIA members meet the highest standards of quality and the latest provisions of the building codes. To ensure the integrity of the certification, the program is administered by a recognized independent third party, Intertek, who periodically performs unannounced visits the member plants and audits individual products. Both structural and nonstructural stud and track products are tested for their mechanical properties, coatings, dimensions, and labels. The SFIA program is unlike other certification programs because it has oversight from a group of industry peers composed of manufacturers and non-manufacturers and includes contractors and suppliers/distributors. This, and the high standard of quality assurance provided by the program, make it the only code compliance certification program to be endorsed by the Association of Wall and Ceiling Industries. A complete list of companies and manufacturing facilities that produce SFIA-certified cold-formed steel stud and track is found on the Intertek web site.